As part of Hamilton Beach's Blogger Outreach program, I was given the opportunity to test the company's latest stand mixer. When I saw that the mixer was being compared to a KitchenAid mixer, I thought that I would also do a comparison and contrast to my KitchenAid mixer to give you an idea of how the two mixers compare to each other. For most of us, a stand mixer is a big investment in both money and space - these small appliances can be expensive and can take up a lot of your valuable kitchen counter space. 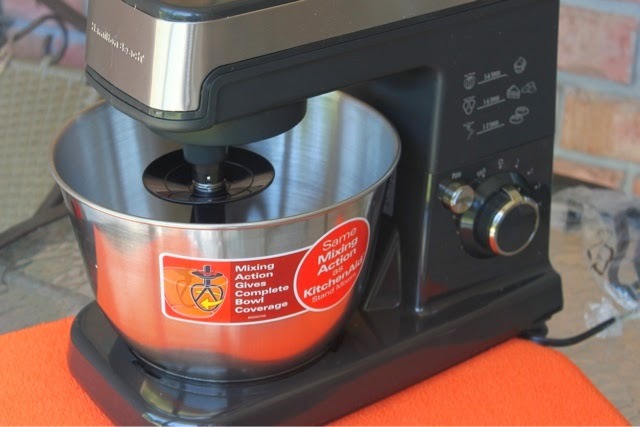 Some of the positive features of the Hamilton Beach mixer include its compact size which includes a 3.5 quart mixing bowl making it perfect for everyday use such as mixing up cake batters, cookie dough, or mashed potatoes. The mixer itself is fairly light weight and can easily be moved from cabinet to counter as needed. The KitchenAid mixer is extremely heavy and usually takes up permanent residence on kitchen counters. Another positive feature of the Hamilton Beach Stand Mixer is its price. It is less than one-third, if not one-quarter, of the price of a KitchenAid mixer. 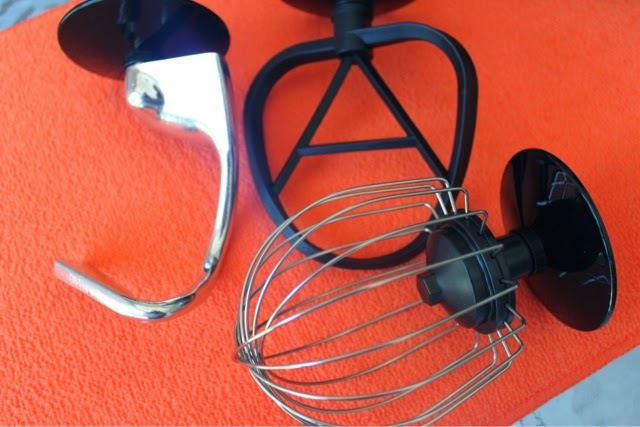 The Hamilton Beach Stand Mixer comes with the same three attachments as the KitchenAid: the flat beater, the whisk and the dough hook. The main difference that I saw in the attachments was the Hamilton Beach attachments have plastic components while the KitchenAid attachments are stainless steel. 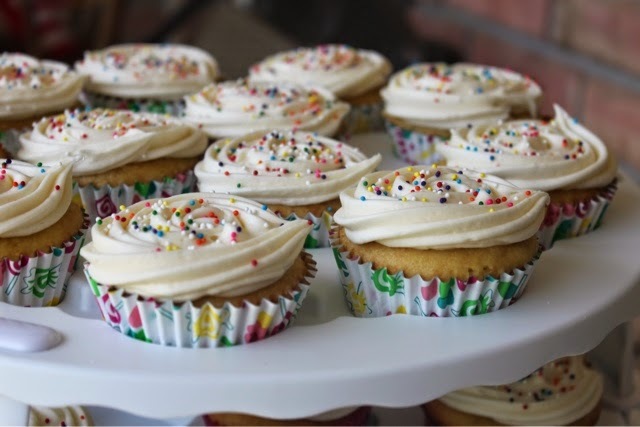 I chose to test the Hamilton Beach mixer by whipping up cake batter for some cupcakes. The 3.5 quarter mixer bowl had enough room to handle the amount of batter from a boxed cake mix. 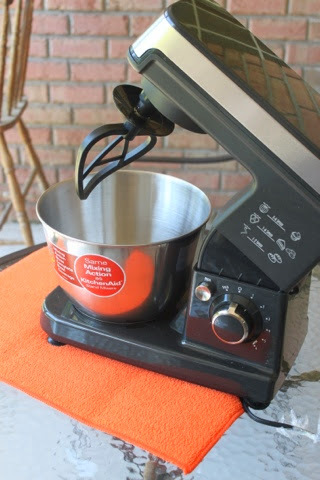 The mixer does have the same mixing action as the KitchenAid as the beater moves around all sides of the bowl sufficiently incorporating the dry and wet ingredients. I did find that when the mixer was in the locked position as seen above, there was little room to insert a spatula to scrape down the sides of the bowl. I had to unlock the mixer and put it in the upright position to use my spatula. These cupcakes started with a cake mix that I doctored up with buttermilk and sour cream. The 3.5 quart bowl handled this amount of batter very nicely with room to spare. KitchenAid mixers come with various sized bowls depending upon type of mixer. These bowls range in size from 4.5 to 5.0 to 6.0 quarts. My KitchenAid Artisan Stand Mixer has a 5.0 quart bowl. My point in sharing this is that I often make pound cakes and my completed pound cake batter comes up close to the top of the 5.0 quart bowl. 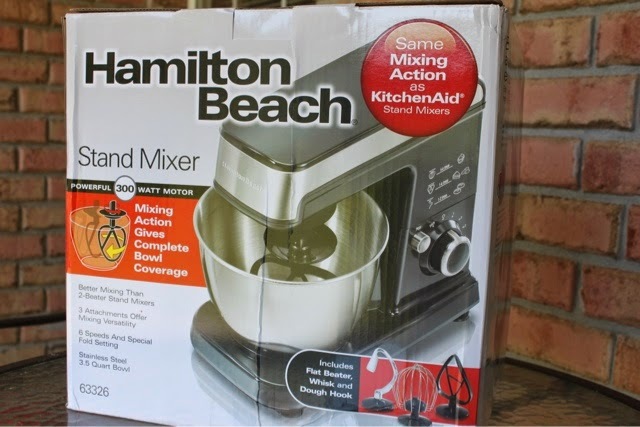 Overall, the Hamilton Beach Stand Mixer is a solid option for those of you who would like to add a stand mixer to your kitchen in that it is lightweight and can be easily moved and stored around your kitchen as needed. 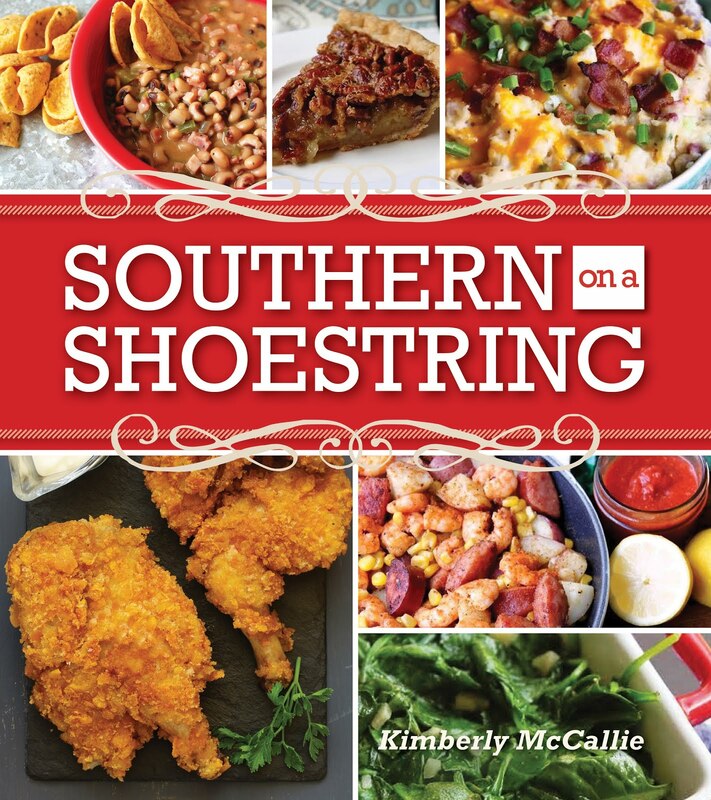 It is also fairly inexpensive and will be able to handle the everyday mixing needs of a home cook. Disclaimer: Hamilton Beach provided me with a mixer for review; however, the opinion expressed here is my own.